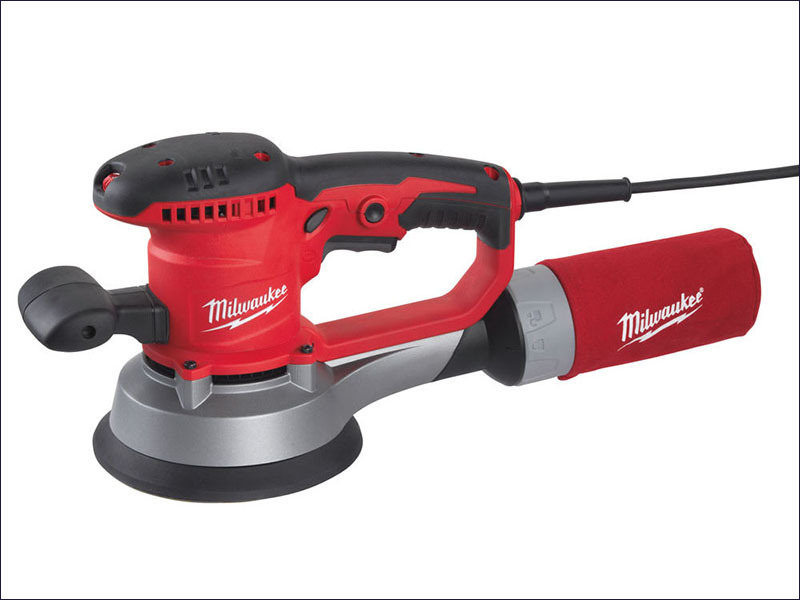 The Milwaukee ROS 150 E-2 Random Orbital Sander has unmatched sanding properties through simultaneous rotation and oscillation of sanding disc. The reduction gear makes full, efficient use of the powerful 440 Watt motor, and it has 6.4/3.2mm orbits for fast removal and finishing. The variable speed (4000-10,000 rpm) is especially useful for heat-sensitive materials. Fast and easy change of sandpaper, thanks to the hook and loop system. Has a removable dustbag and also fits standard 26mm vacuum hose. The additional handle provides a balanced and even weight distribution over the work piece. Supplied with a dust bag, sanding disc and 4 metre cable.